Trait-Tex's Earthtone collection includes 16, 5 oz cones of yarn in the full expanse of earthtone colors including solids, heathers, flake and marl effects. Thicknesses and textures are varied. 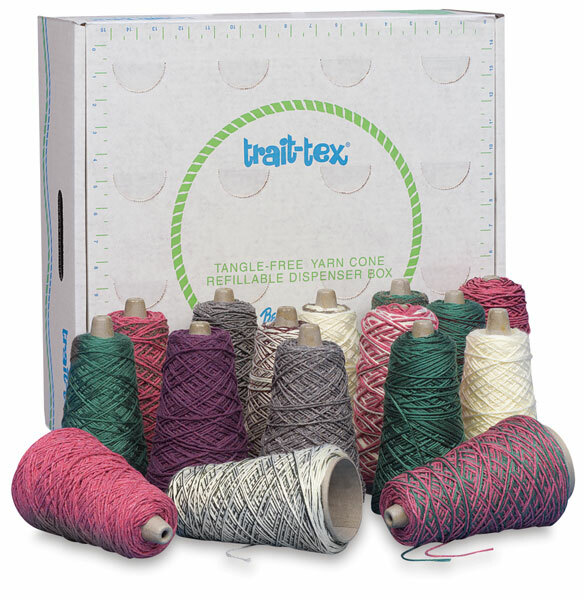 Fiber contents include wool blends and polyester fiber.